‘Crossover’ is a turnoff for me. I go for the unadulterated. Single malt whiskey. Kurosawa’s “Hidden Fortress” rather than “Star Wars”. Beowulf in the original Old English. Just kidding about that one. But I do like sharing music that I’m just in the process of discovering, the stuff that’s running around my mind when I wake up in the middle of the night. So this week it’s ‘So What’, written by Miles Davis as performed by Jerry Garcia & David Grisman from the CD of the same name. It’s a classic jazz piece played by a great rock guitarist joining forces with an ex-bluegrass mandolinist, and they’ve managed to forge a singularly charming little gem. 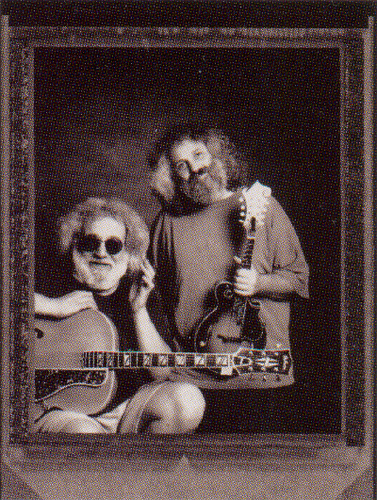 Jerry Garcia (zt”l) led the Grateful Dead—an eclectic rock jam band and cultural phenomenon. (He was also a prince of a guy. I had the distinct honor of helping host him and the Dead for a weekend.) He eventually branched out into various country & western, bluegrass, ‘new acoustic’ directions. 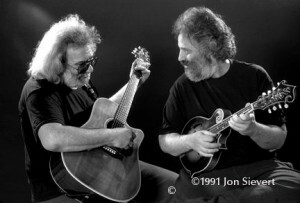 David Grisman worked mostly in the ‘newgrass‘ context. That means music with bluegrass instrumentation and texture, but fueled by progressive, jazz-minded improvisation. Bela Fleck is the acknowledged Main Man there. 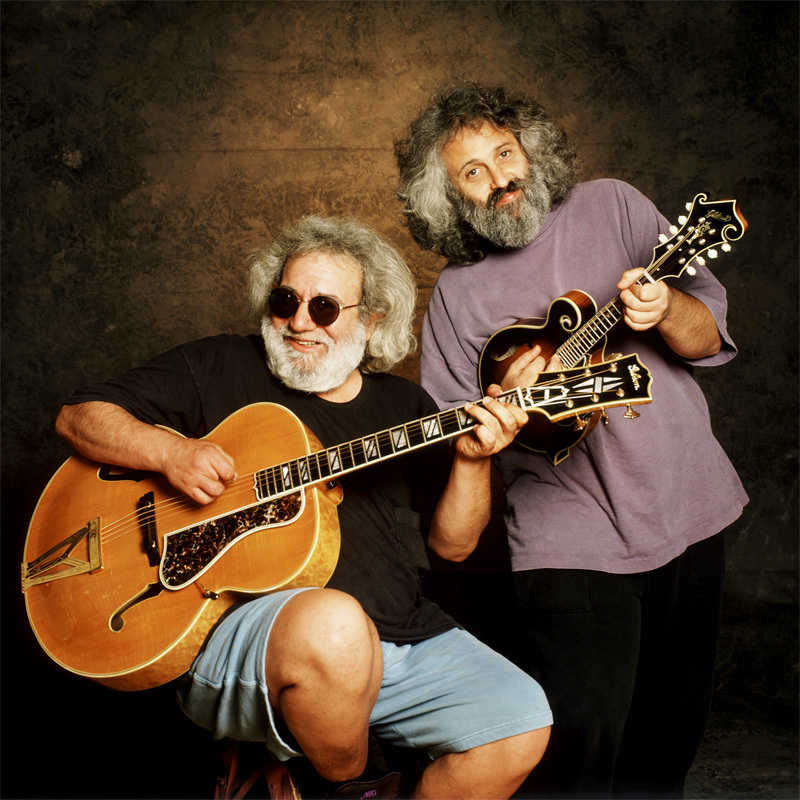 Grisman, with Andy Statman, has even ventured as far afield as newgrass klezmer. Garcia/Grisman made a bunch of CDs together (here are some samples from “Been All Around This World“, “Not Only for Kids“, “Old and In the Way“, “Shady Grove“, eponymous, and a bunch more with Tony Rice called “The Pizza Tapes“. Our SoTW is one of three versions of the title tune of the CD “So What“, recorded 1992. It’s their jazz CD, including 3 pieces associated with Miles and one original. ‘So What’ is the opening cut of Miles Davis’s 1959 “Kind of Blue”. It’s a unique album. Everyone loves and admires it. Non-jazz people. MORers. Aficionados of elevator music. Effete jazz snobs (although I don’t know any of them personally). Critics. Even Deadheads, turns out. Poll any jazzist about the great jazz albums of all time, chances are it’ll be #1– unanimously. More of an icon in jazz than the ‘underwritten and overproduced’ Sgt Pepper in rock. It’s really that good. Miles read a theoretical work about modal scales, recruited the young (white) pianist Bill Evans into his black band which included John Coltrane, scheduled ‘just another session’, and a monolith was created. The cut here isn’t life-changing music, but it sure is sweet and smile-provoking. Heck, it’s even got vocal percussion. Thank you man ! I just inquired about this type of music, and there it is, a nice intro. Newgrass. Great stuff ! The Philistine likes this very much.